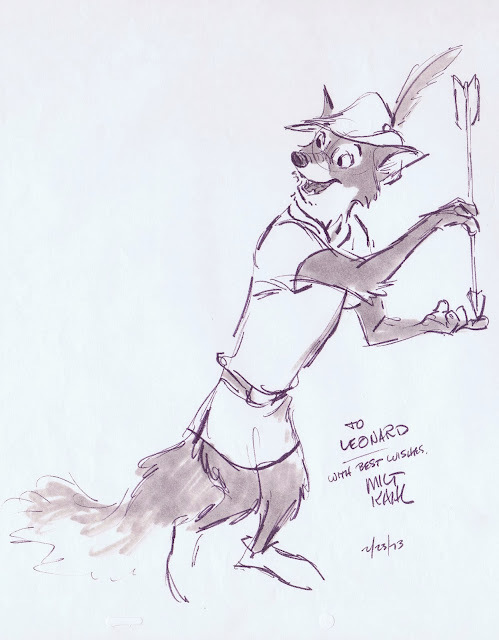 Milt did this appealing drawing of Robin for a certain Leonard at a time when he had just about finished animating on the movie. 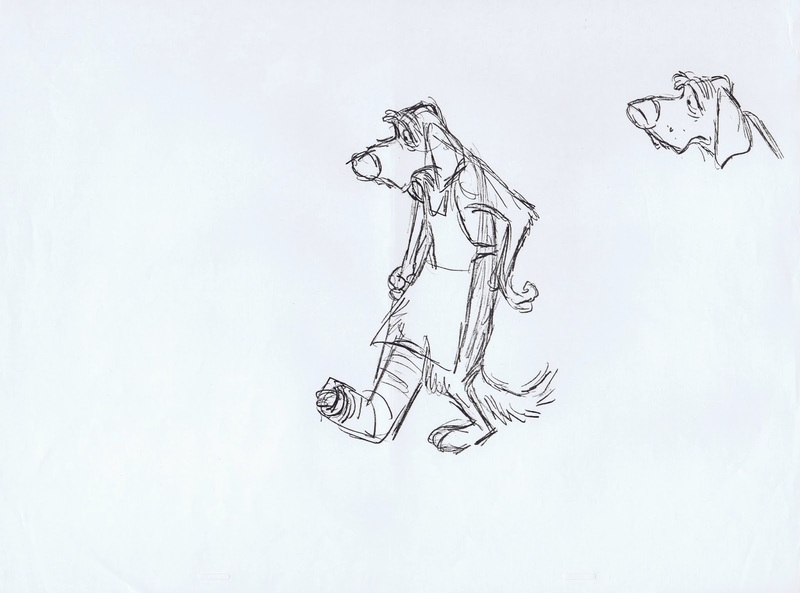 I just love the fact that Milt drew anthropomorphic characters like these with a total respect for anatomy, human and animal wise. 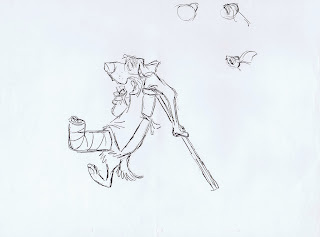 Another piece I picked up at auction years ago. 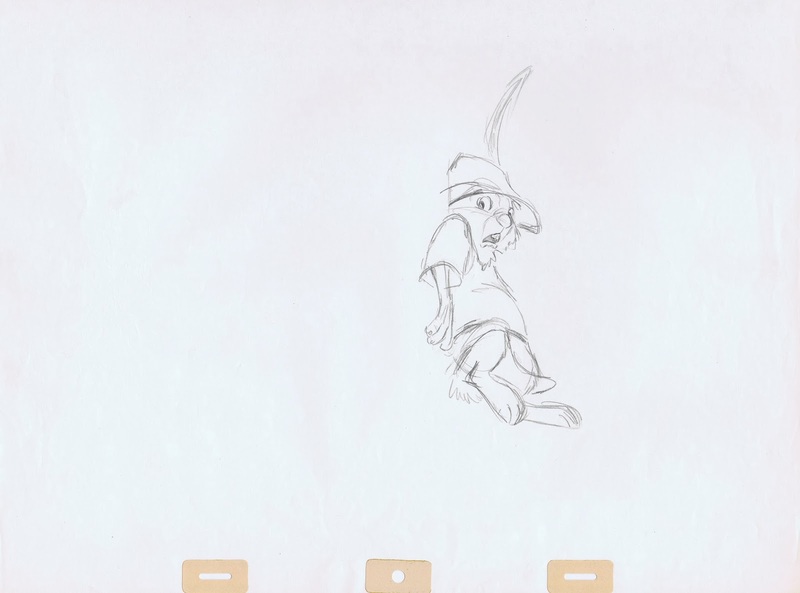 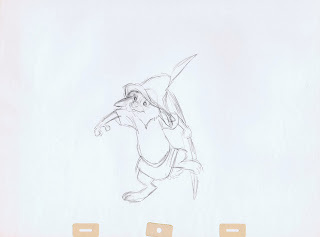 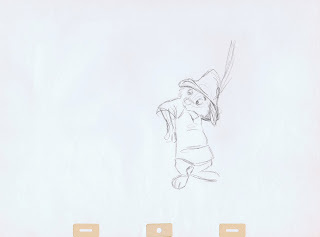 The following sketches demonstrate how Milt's drawing style not only influenced the look of the film's character designs, but also other animators' work. 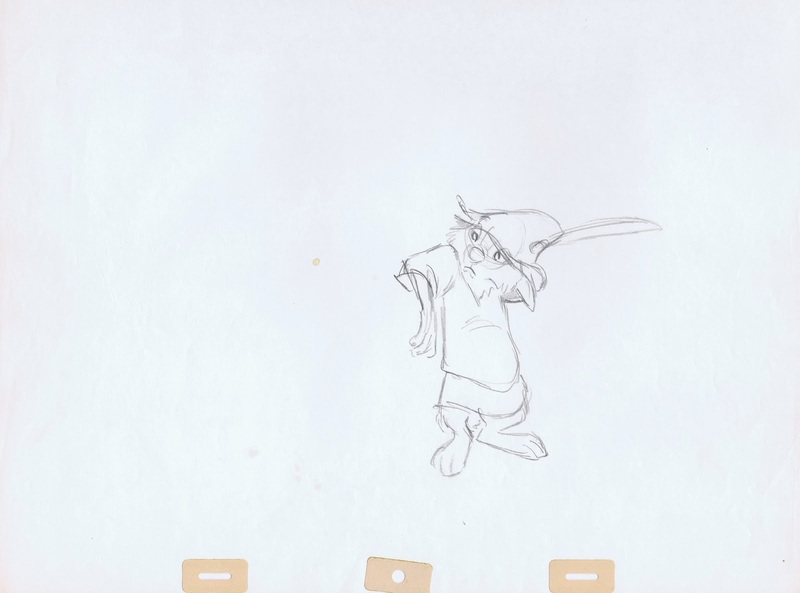 Ollie Johnston animated this scene with Little John, who is about to scratch his back with an arrow. 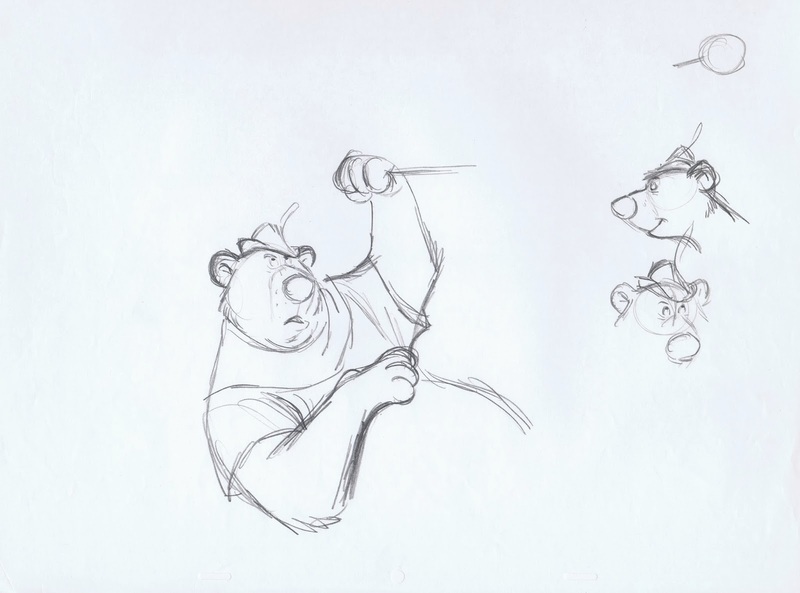 Milt didn't change Ollie's pose, he just tried to make the drawing look more solid by establishing a few straight lines which define positive planes on the bear's body. 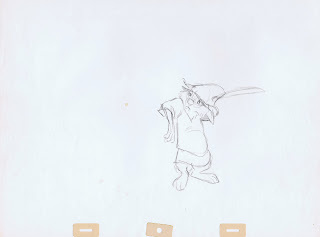 These drawings of Otto were done for animator John Lounsbery. It's kind of a complex staging issue. 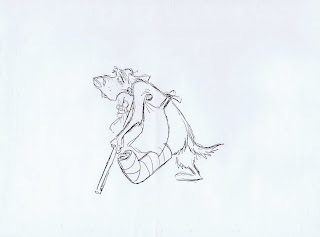 A dog walking like a human with a crutch, wearing an apron, one leg in a cast while holding a sac with coins. Milt keyed this Frank Thomas scene with Skippy, who hesitantly comes forward from behind a tree as he tries to retrieve his arrow. 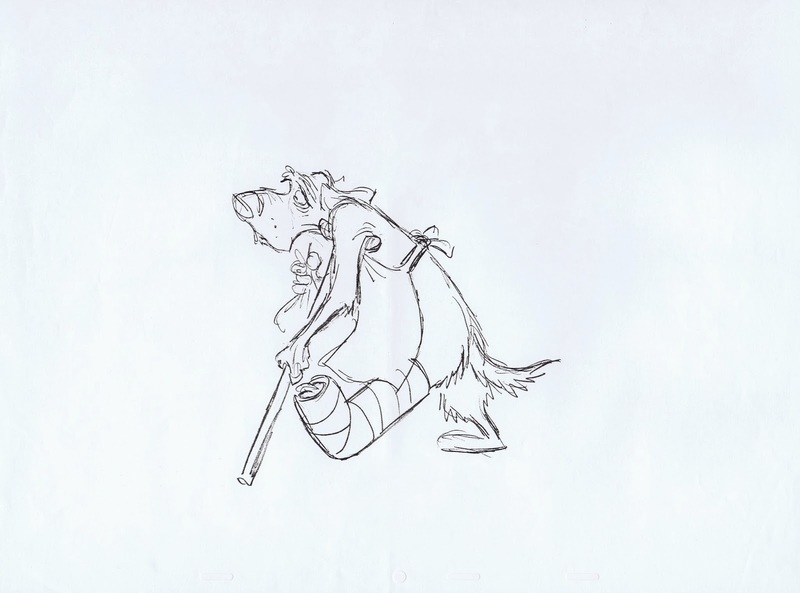 I remember discussing the first drawing with Frank. 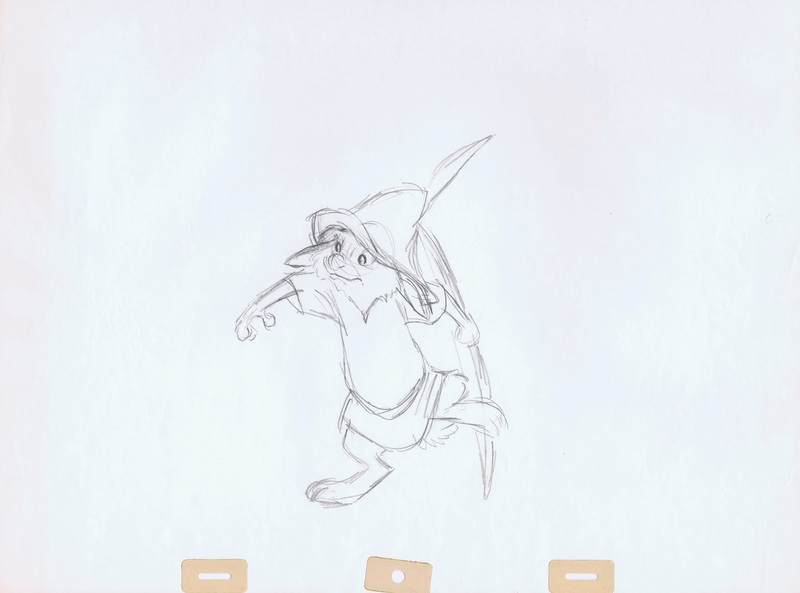 I mentioned that I thought this is a great pose to start the forward motion from. Frank agreed. 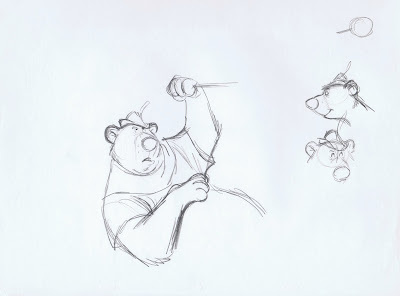 There are two versions of this pose, I like them both. 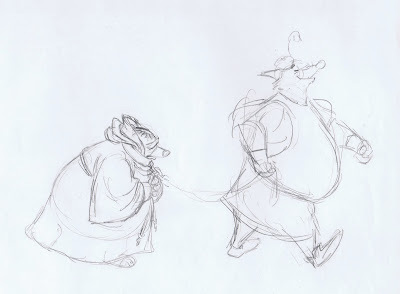 The Sheriff of Nottingham is taking Friar Tuck into custody. 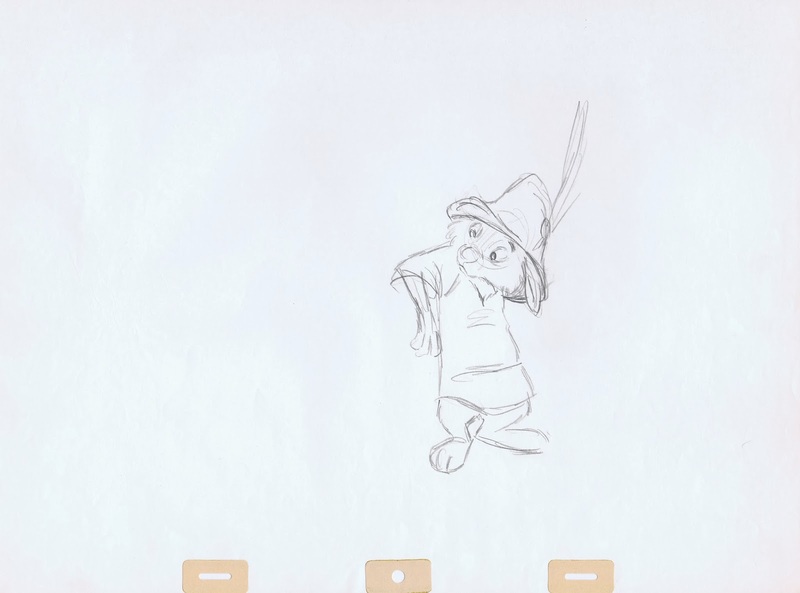 I don't know who animated the scene, but this beautiful staging sketch surely helped to clearly communicate the emotional state of both characters.